You assume your pillow will be waiting for you when you hit the sheets every night, but suppose pillows disappeared? Would you miss yours? Fact is, pillows have been a huge factor in the way we sleep since time immemorial. Mesopotamian ancestors slept on stone blocks with carved-out semi-circles on which necks rested as long ago as 9000 BC. Sleep on a rock? Sounds uncomfortable–but if one didn’t keep his head off the ground, bugs would roam into ears and hair. And you thought you had trouble sleeping! Before you shop, what’s your sleep style? Asian cultures took a long time to warm up to the idea of sleeping on soft pillows due to an old superstition. It was believed that if one slept on a soft pillow, energy would be stolen from the body during the night. But soft pillows can be convincing, so societies eager for sleep eventually dropped their superstitions and reservations. By the Middle Ages, rolled pillows were not only popular but status symbols. Leave it to King Henry VIII to ban the use of pillows during his reign for everyone except pregnant women. Can you imagine pillow police breaking into your bedroom around 1500 AD and ordering pillow snoozers to hand over the contraband? Happily, bans and restrictions disappeared and by the Industrial Revolution, thriving textile industries throughout the world were mass-producing pillows of all sizes, shapes and fillings. The pillow, it seems was here to stay. We’ve selected the most readily available, popular pillow types, so base your decision on size, price and comfort. Is there such a thing as a “standard rectangular bed pillow”? Not exactly. The word standard, when applied to pillows, references size not material. A standard rectangular pillow measures 20-X-26 inches, but that’s where uniformity ends. 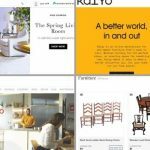 Materials used to fill standards can range from synthetics to all-natural fibers because selection is vast and eclectic. For example, in India, a standard pillow may be stuffed with fruit fibers like those plucked from silk-cotton trees. 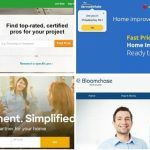 -Easy to find at all price points. -No worries about pillowcase fit. -Choose your favorite stuffing since availability is so diverse. -Not necessarily the best support for the head and neck. -Aesthetically, standard pillows make today’s large beds look awkward. -Inexpensive standard pillows may not last as long as other pillow types. If ever a material was welcomed with weary heads, it was Memory Foam. 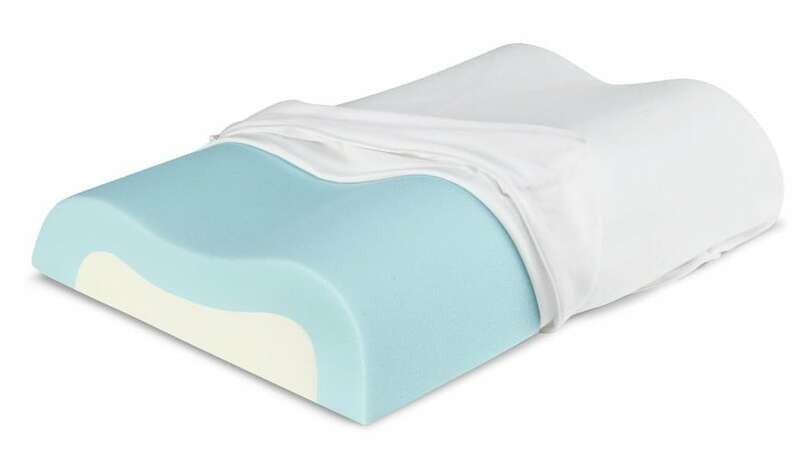 This thick block of foam offered an alternative to wimpy feathers and down, plus the material comes with a pedigree: Memory Foam pillows were developed for aircraft seats during the 1970s under a NASA contract so astronauts and pilots could sit for longer periods of time. These days, Memory Foam (just like memory foam mattresses) is one of the most popular pillow choices on the market. 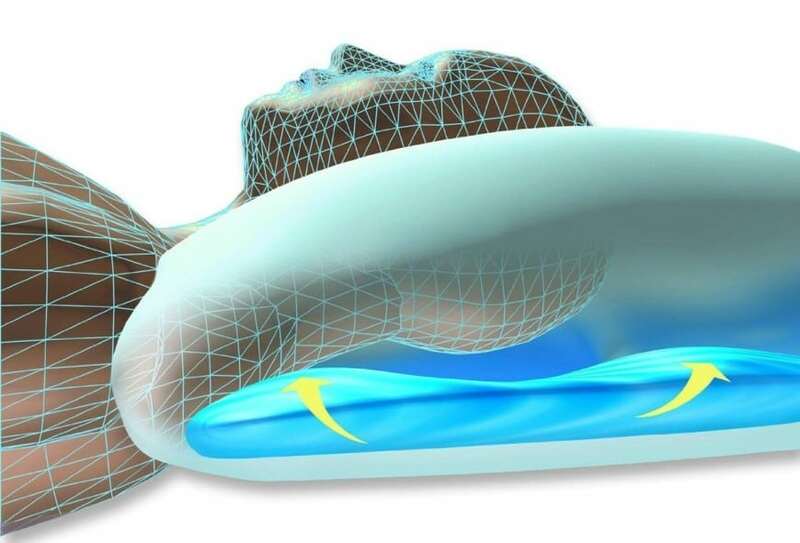 -Memory foam molds to the head and neck in seconds. -Offers comfort and better support than comparable materials. -Retains its original shape for the life of the pillow. -Memory foam is combustible and could flame. -Folks with respiratory conditions could react to chemicals used to make foam. -Not for people who get hot at night; this foam traps and holds body heat. Don’t take the word “goose” literally when you shop for a down pillow because these days, any number of birds “donate” their down to the pillow industry. Goose down is associated with nostalgia and history, but today’s down comes from eclectic sources: Duck (eider), goose (usually Polish or Hungarian) and waterfowl like turkey and stork. Sleepers of all ages swear by this soft pillow type. Down is particularly prized by stomach sleepers who never met a malleable pillow they couldn’t love. 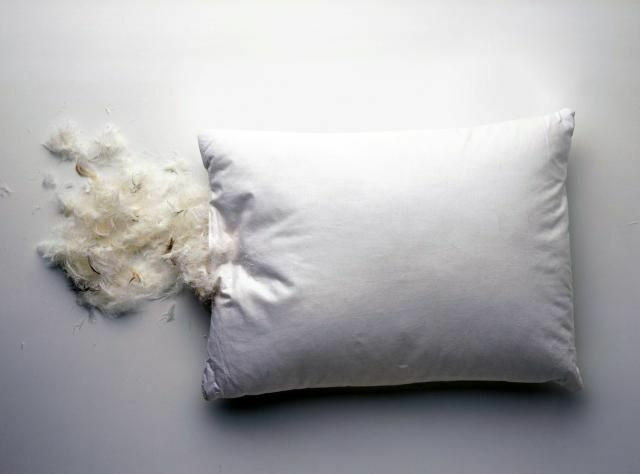 -Lighter than feathers, down pillows “breathe” to reduce sleeper sweating. 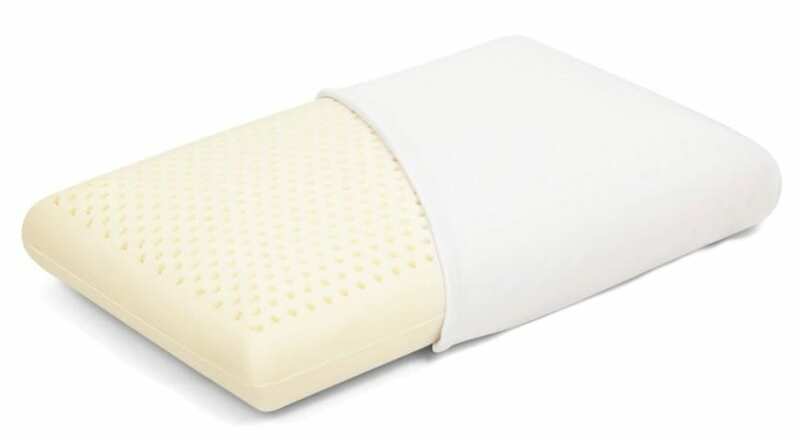 -Down pillows are easy to wash, thus more hygienic, and they last a long time. -You won’t get poked at night because feather quill shafts are removed at the collection point. -Labor-intensive manufacturing means higher price tags. -Down requires constant fluffing so clumping doesn’t occur. -Probably not your best choice if you’re an animal rights advocate. Distant relatives of down pillows, feather pillows are soft, traditional and make a great recycling statement. Feather pillows can create problems for hypersensitive sleepers who are allergy prone, but on the other hand, you benefit from myriad densities and everyone sells them. From Internet purveyors and sleep shops to big box stores, you’ll be able to find the feather pillow that feels just right effortlessly. 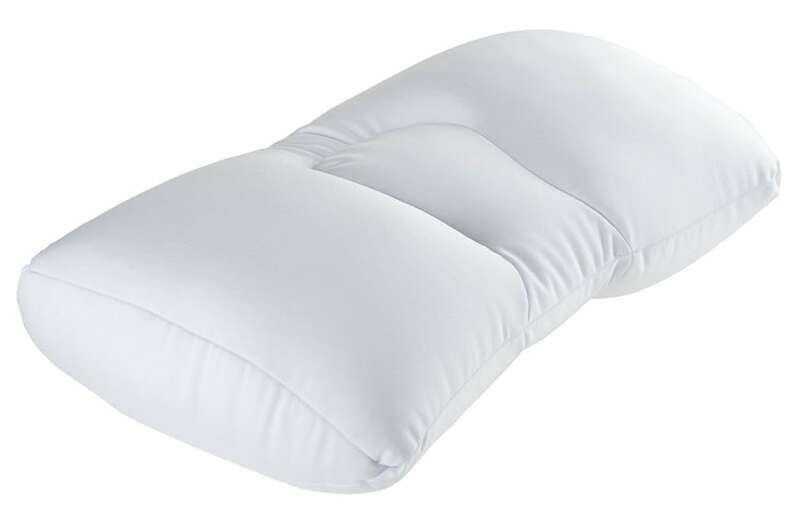 -Lightweight and airy, feather pillows offer cooling ventilation. -Flexible enough to bend and roll for the perfect sleep position. -Offers sleepers the ultimate in softness and comfort. -Inexpensive feather pillows can “sink” and lose volume overnight. -If feather quill removal isn’t done properly, you could get poked. -Chemicals used to sanitize feathers may smell awful at first. We’re not sure who coined the phrase, but someone in the bedding industry called polyester pillows “the poor man’s cotton” and who are we to refute that claim? Think of polyester-filled pillows as you would a stew: Lots of man-made materials and fibers go into the mix, but once poured into the case, this amalgam of synthetic filling stands up to years of wear. -You can’t find a cheaper pillow, so if you replace often, you’ll appreciate the value. 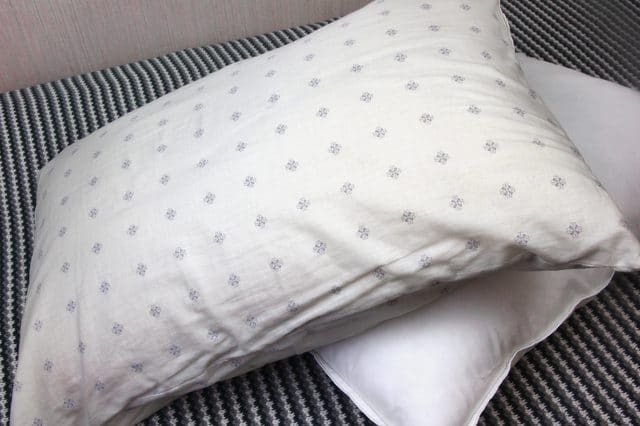 -Polyester pillows are easy to wash and hygienic. 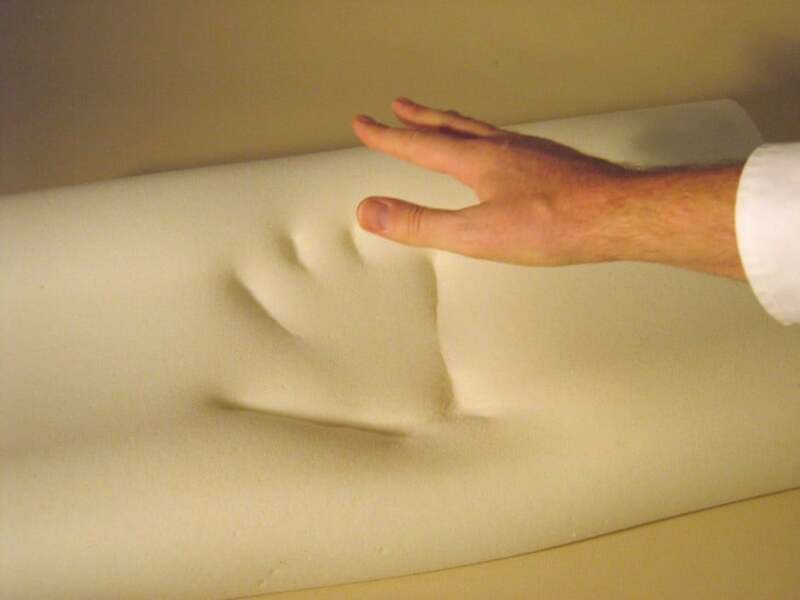 -Even pet claws aren’t likely to poke holes in poly pillows. -This material offers no ventilation benefits. 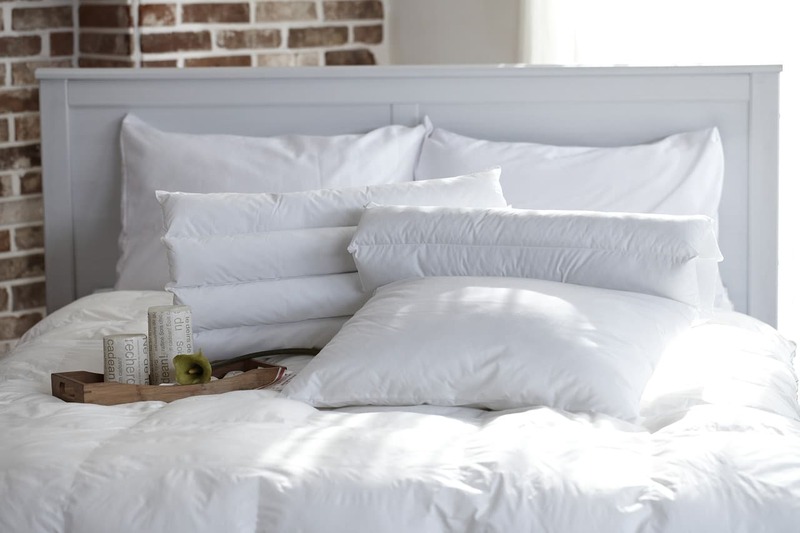 -Polyester is said to be the most vulnerable to dust mites of all pillow types. -Breakdown of stuffing can result in poor neck support. Frequently called the next best thing to falling in love, malleable body pillows are designed to be cuddled while supporting the skeletal system no matter how many hours you stay abed. Some pregnant women credit them with helping them sleep for nine months despite discomfort. Engineered for nightlong hugs, aficionados swear that body pillows improve the quality of sleep, reduce and eliminate pain in more places than just the head and neck. -Keeps the spine and muscles supported throughout the night. -Comes in many types of filling thanks to the widespread popularity of this style. 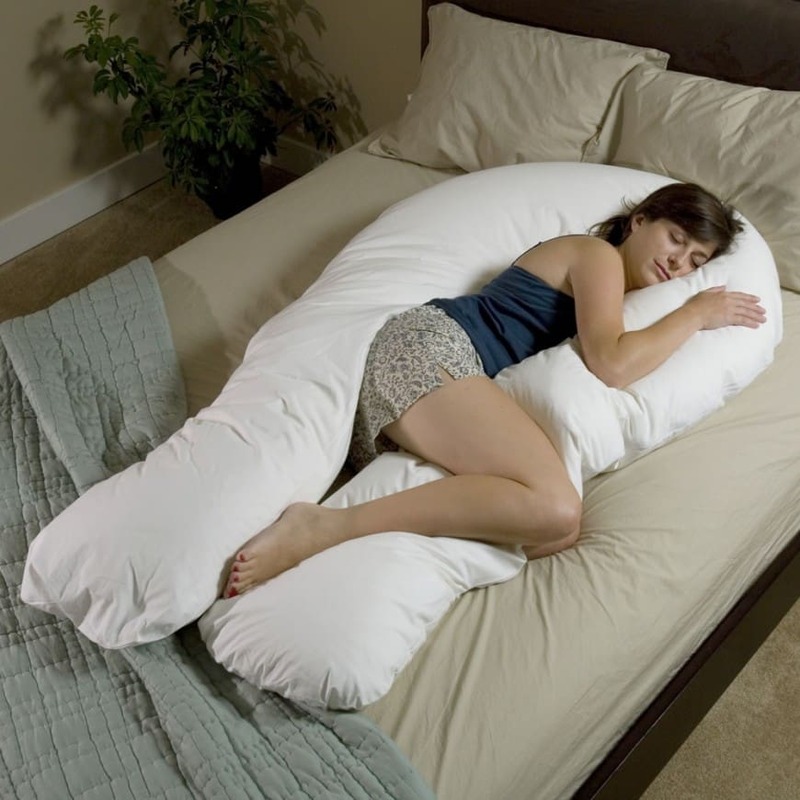 -Despite its size, you can still prop a body pillow up to comfortably read or watch TV. -Depending upon the stuffing, a body pillow’s shape can be deformed if washed too often. -Finding a pillowcase could be problematic. -For people who “sleep hot,” this pillow could make you hotter. Engineered for back and side sleepers, contour pillows are designed to cradle the head by adding supportive features where a snoozer needs them most. This style is growing in popularity thus prices are finally beginning to drop. What’s inside? 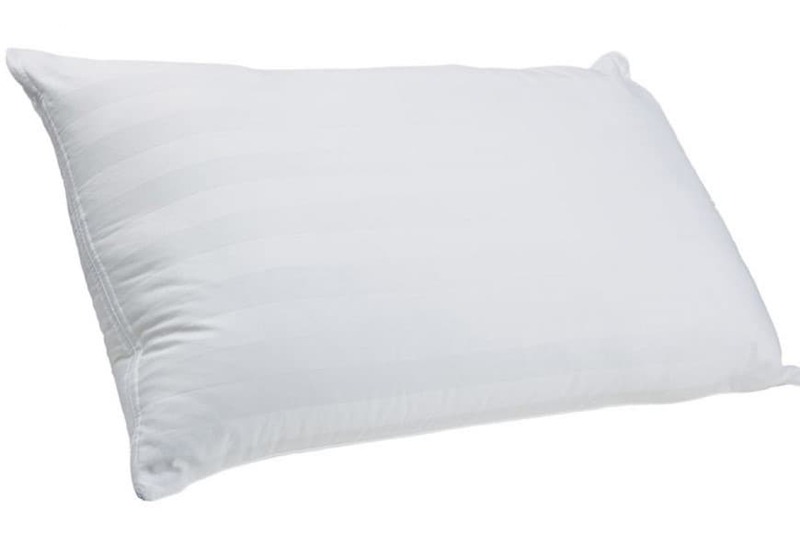 A variety of materials that contribute to this pillow’s unique silhouette, but Memory Foam, water and buckwheat are the most popular and receive the most rave reviews. -Excels at supporting the neck and head and helps cut back on snoring. -Encourages a natural sleeping position that strengthens posture. -Versions are being made for sleepers who must wear CPAP devices at night. -Despite price drops, you’ll still spend more on a contour pillow. -Can leave you hot and sweaty; chemical smell could be off-putting. -May not be as durable as alternate pillow choices. The buckwheat pillow is a statement in ecological sustainability that allergy sufferers will celebrate. Buckwheat may be encased by either natural or synthetic textiles, but all you’ll find inside is 100-percent buckwheat hulls culled from plant husks. Hulls are sanitized by roasting them to get rid of dust and dirt. Expect an adjustment period if you’re new to this pillow type but when you reap the benefits of air circulation, you’ll be hooked. -Pillow contents are natural, renewable and environmentally sound. -Hulls hold up for many years, so your pillow won’t collapse. 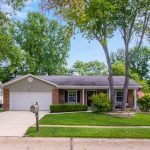 -Prices are affordable and availability is growing. -If you’re used to a fluffy pillow, this heavy style may require extra adjustment time. -Hulls within the pillowcase can make weird noises when you shift around. -A buckwheat pillow is a one-user model because once it assumes a shape, that’s it. Read the aforementioned description of the buckwheat pillow to get an idea of how microbeads perform. Instead of all-natural hulls puffing up the pillow sleeve, this version is filled with the same beads you got used to as a college kid with a beanbag chair. Microbeads are a bit smaller than those used to fill beanbag furnishings, but you can expect your head to conform instantly the moment it sinks into this pillow. -Airflow is great; these beads are tiny, thus air flows around them. -Microbeads conform to neck and head immediately so no pillow punching required. -Therapeutic for sleepers suffering neck and shoulder pain. -Like hulls, microbeads make noise; if beanbag crunching sounds annoy you, consider another pillow type. -Microbeads are manufactured using chemicals that can emit offensive odors in new pillows. -Not all microbead pillows are made to fit standard pillowcases. If a latex pillow suits your fancy, you might have dreams of island living because these pillows are stuffed with material harvested from rubber trees grown in the tropics. Environmentalists are willing to spend extra to buy latex, but the benefits keep coming: Latex resists bed bugs and dust mites and can relieve neck and back pain. Suffer from allergy issues? Latex may be the answer to your nighttime prayers. -Both biodegradable and 100-percent organic, latex promotes sustainability. -Latex resists both mold and mildew; it’s a great choice for those living in damp climates. -Sleep soundly: Latex is flame resistant and non-toxic, too. -High-quality latex pillows usually come with equally high price tags. -Latex may not relieve as much pressure as Memory Foam say neck pain sufferers. -If you toss and turn, latex pillows can crunch, disturbing you and/or a bed mate. Think of today’s water pillow as a sleep sandwich: layers of polyester in addition to water or gel chambers make up this pillow’s interior. This is not your grandmother’s pillow fight weapon! It’s a heavy, dense product that’s literally at the other end of the continuum from soft, fluffy pillows designed for hugging. This pillow can help a sleeper stay cooler as long as the case isn’t fashioned of non-breathable fabric. -If a shifting pillow drives you crazy, this style won’t budge. -Water pillows can help keep nasal passages open to cut down on snoring. -You can adjust water levels to achieve the perfect height and firmness. -Hard to maintain; you can wash and hand dry, but you risk damaging the pillow. -Failure to remove air bubbles from water chambers could trigger weird noises. -This pillow style is too thick and hard for stomach sleepers to rest easy. If nothing but 100-percent natural filling will do for you, it’s still possible to find all-natural pillow fills that are made exclusively with wool. 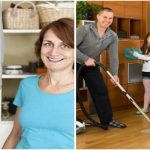 Benefits you receive include both natural flame retardant and dust mite repellent properties, and breathing allergy reactions are almost nonexistent. Wool absorbs and releases moisture like a pro so you could stay cooler year round. Firmer and flatter than other pillows, wool stands the test of time. -An excellent choice for allergy sufferers who like a firm pillow. -Keeps sleepers cool in all seasons because wool is a natural insulator. -Airflow helps minimize moisture issues that result from nocturnal perspiration. -Can flatten like a pancake due to the compacting nature of wool. -May not adequately contour your pillow to your head. -Wool shrinks when washed, so there’s a chance the original shape won’t return. Trendy, popular pillow choices these days, even medical experts sing the praises of bamboo pillows, especially for people with allergies. Further, this pillow literally prevents bacteria development, it’s fungus-resistant, repels offensive body odors and keeps skin dry and cool. Softer than wool, bamboo pillows benefit the planet since the fibers used to manufacture the fill would otherwise wind up being discarded. Bamboo can be pricey. -Fibers adapt to all temperatures so bamboo is practical for year-round use. -Fights the development of bacteria, fungi and other microbes. -Conforms to the head and neck so efficiently, side, back and stomach sleepers benefit from sleeping on bamboo. -New bamboo pillows usually have strong chemical smells that take time to disappear. -Heavier than other all-natural fibers, you should expect an adjustment period at first. 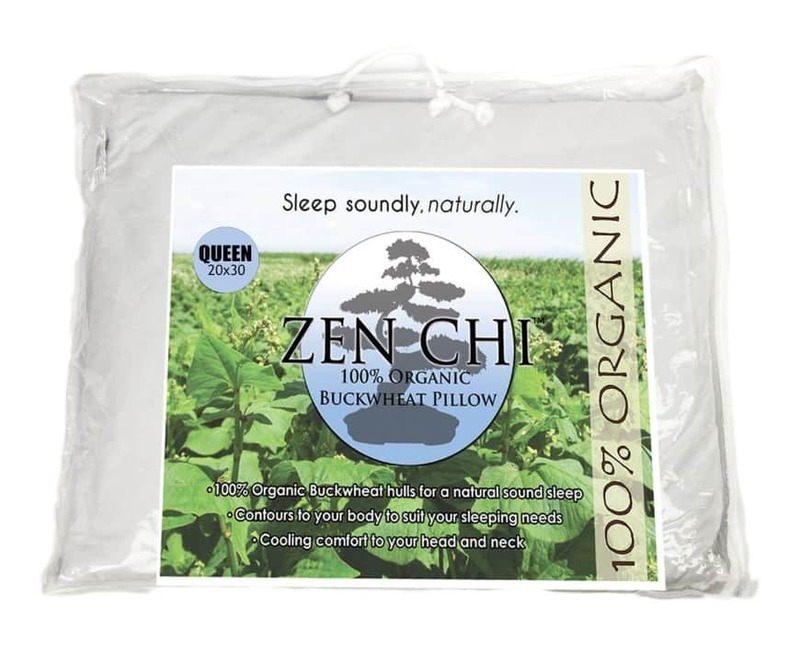 -Fail to dry your bamboo pillow properly and you invite musty, sleep-depriving odors that linger. -Specialty pillows (e.g., Therapeutic, cervical, inflatable, orthopedic and wedge styles).